The financial services' industry has undergone enormous changes over the past decade. Challenged by these changes banks have been trying to reduce their costs by closing branches around Europe, but at the same time, they need to make sure there are enough points where their customers can be serviced, so the number of ATMs is not falling like branches do. Do you want to have a clear image of these changes and their impact? Do you want to know what to expect for the next 5 years? 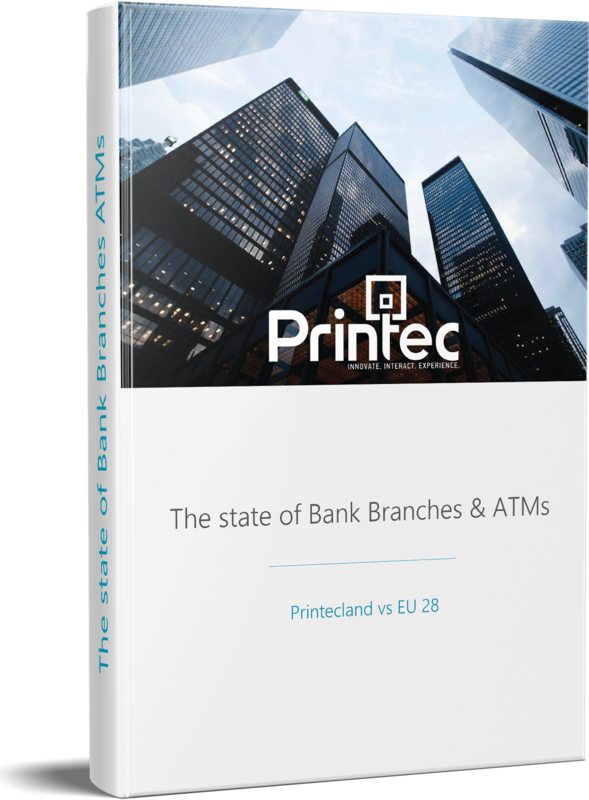 *This white paper is based on pre-existing reports (2012 - 2016) and trends evaluation by Printec’s consultants.